You may request extra pilots at $2 rental fee each. Set the quantity total that you need in the shopping cart. 4D is now offering Sling Swivel Studs with a Ball head in stead of the common Dome. Providing a custom touch to your gun. 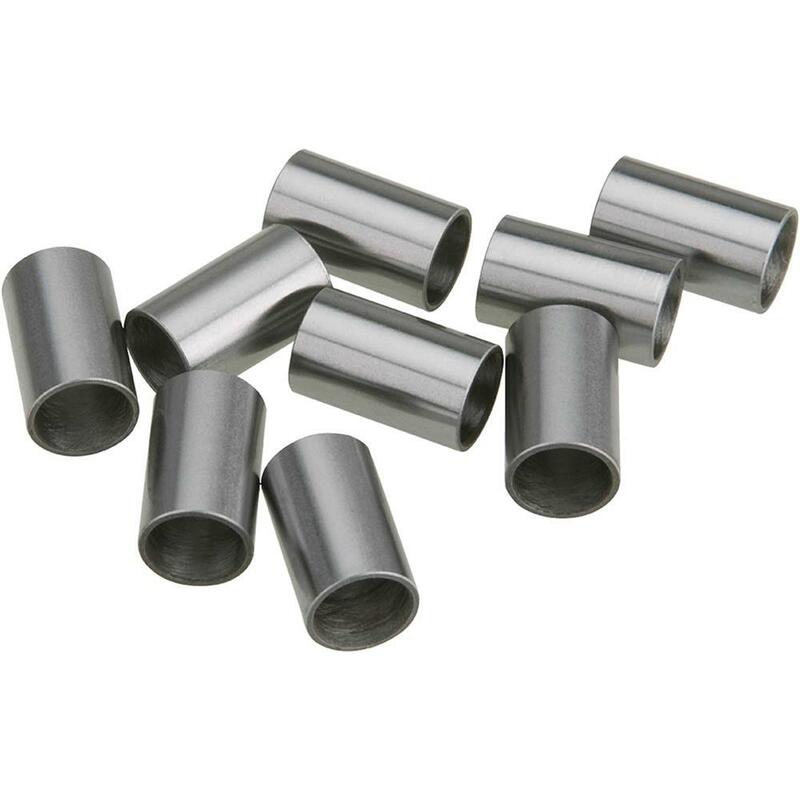 They come in the standard blue finish and can be color case hardened for a more custom finish. Price here is for one pair of these custom swivel studs. 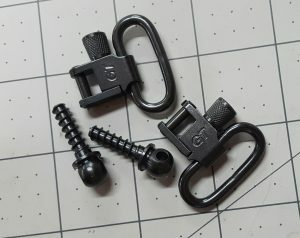 These are 3/4″ wood screw style and will fit standard QD sling swivels. 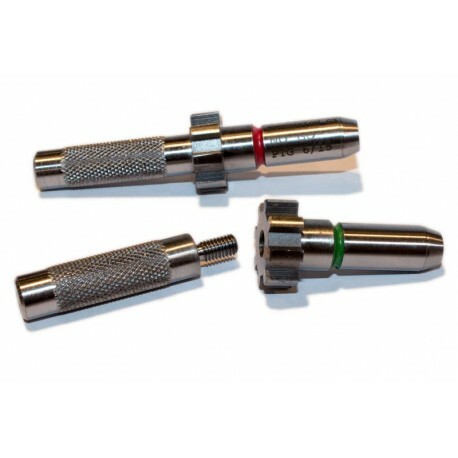 Essential tool for installing Heavy Duty Push Button Swivel Bases, can be used with a hand wrench or 1/4″ socket drive. Greater ability to control seating depth. 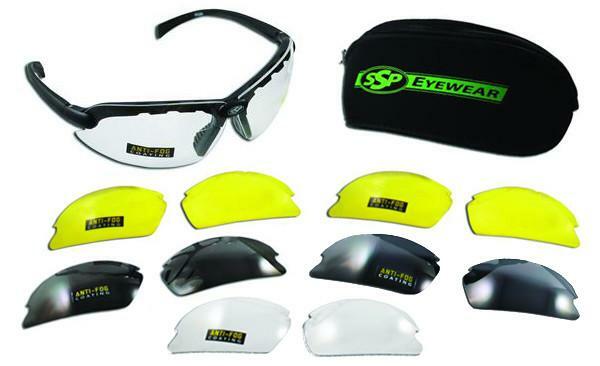 Tool Only, Swivel sets sold seperately. 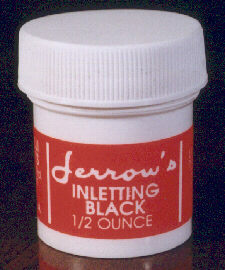 JERROW’S INLETTING BLACK The standard among stock makers since 1963! Does not dry out or soak into the wood. Leaves a good clear mark, yet cleans up easily. A small amount goes a long way. Positively the best products on the market for precision hand fitting of gunstocks, knife handles, cabinet furniture; all precision inletting. Inlay / fit parts to wood with ease. These Gauges permit the checking of a barrel extension and barrel headspace without the need for a BCG or even a bolt. This set for 5.56 Nato or 223 Remington. These Gauges permit the checking of a barrel extension and barrel headspace without the need for a BCG or even a bolt. This set for AR-10 chambered in 6.5mm, 6mm, or 22 Creedmoor. As headspace for all three is identical. 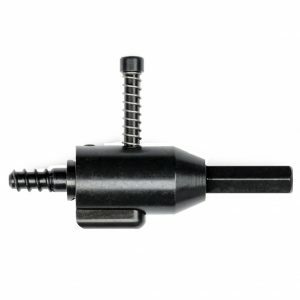 These Gauges permit the checking of a barrel extension and barrel headspace without the need for a BCG or even a bolt. This set for AR-10 chambered in 308 Winchester. 4D is now offering Sling Swivel Studs with a Ball head in stead of the common Dome. Providing a custom touch to your gun. 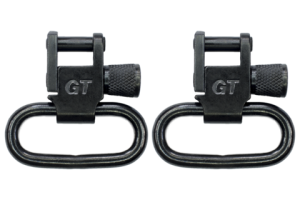 Included is a set of GroveTec locking sling swivels (1″ loops) Price here is for one pair of these custom swivel studs and one pair of swivel loops. 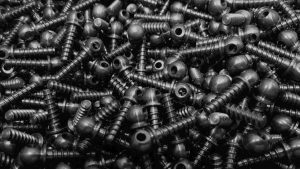 These are 3/4″ long wood screw style studs. The premium choice for installing our custom ball swivel studs. 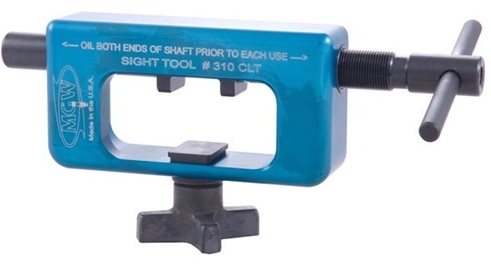 Constructed of heat-treated carbon steel, this tool will not damage stock finish. 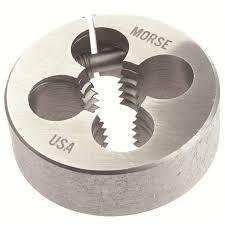 Hex base designed to fit any standard drill chuck or 1/4-inch nut driver. Understanding Headspace for Firearms will answer your every question about headspace. This booklet is the second of many planned works that provide instruction in the correct and safe methods of gunsmithing. Specifically, this essay discusses Headspacing guns and ammunition. A basic understanding of headspace and how it affects the proper operation of a firearm are necessary if you wish to call yourself a gunsmith. Otherwise all you will be able to do is change parts with the hope that somehow the problem will go away. 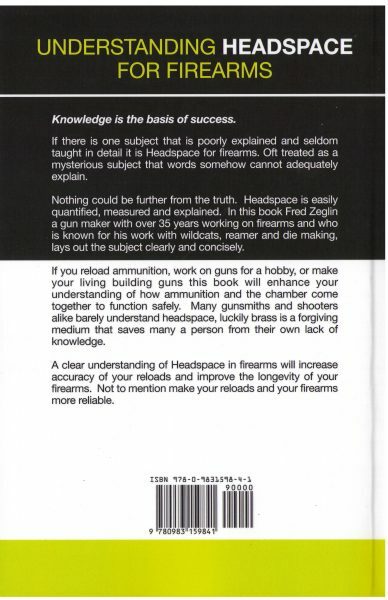 This booklet contains all the information a gunsmith or reloader needs in order to understand and diagnose headspace in either the gun or the ammunition. Fred Zeglin along with other well-known Gunsmiths has begun the task of creating this series of instructional manuals. Each book will focus on one narrow subject in Gunsmithing. Written with an audience in mind who want to know every detail of the how and why of gunsmithing. Each book in the series will provide a highly detailed and Technical explanation of the subject at hand in a way that any gun lover will be able to understand, whether professional or hobbyist. 52 pages, soft bound. Printed in the U.S.A.
Back Cover of Understanding Headspace for Firearms. 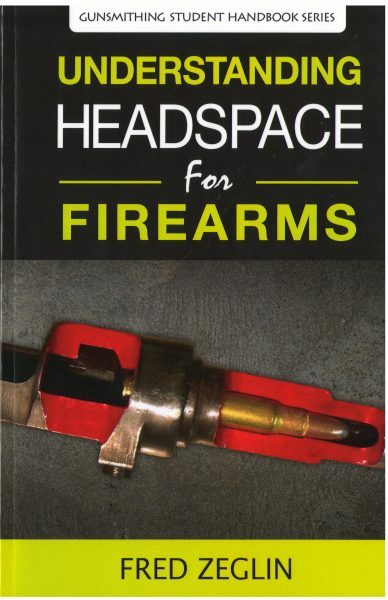 “Understanding Headspace for Firearms.” Articles published here on Guns and Gunsmiths in the past on this topic have been some of the most highly read and commented on, so this book will be a treasure to many of you.” wrote Gary Howes of GunsAndGunsmiths.com when reviewing this book. In the video below the Author tell you how to be sure your gauges are correct. This booklet is the first of many planned works that provide instruction in the correct and safe methods of gunsmithing. 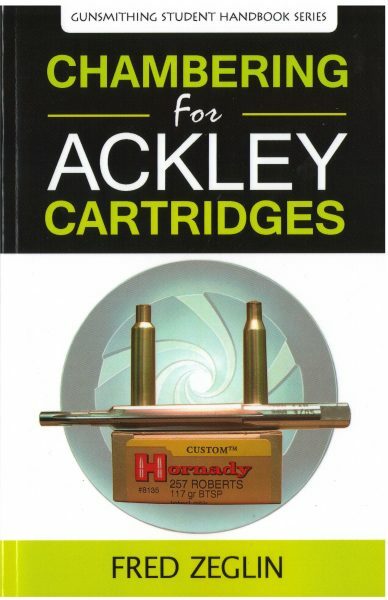 Specifically, this essay discusses Ackley Improved cartridges. 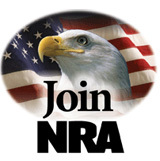 In it, we will not teach you how to install and chamber a barrel, we handle that information in another title, “Chambering Rifle Barrels for Accuracy”. In this book we will in detail help you to understand the special details related to chambering for Ackley Improved designs, specifically we explain headspace for Ackley designs. If you are not familiar with how headspace applies to firearms and ammunition you may want to consider another title we offer, “Understanding Headspace for Firearms”. 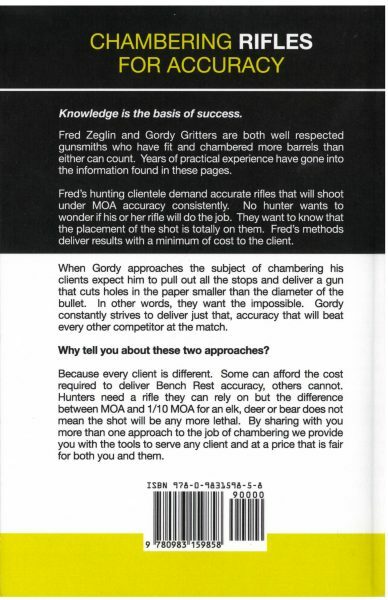 Fred Zeglin along with other well-known Gunsmiths has begun the task of creating a series of instructional manuals. 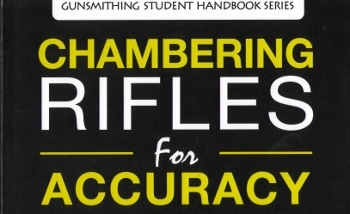 Each book will focus on one narrow subject in Gunsmithing. 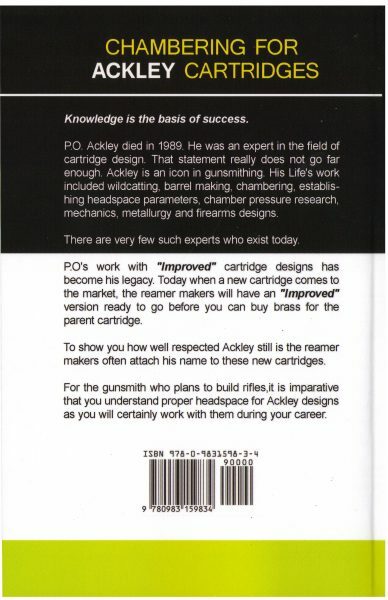 Written with an audience in mind who want to know every detail of the how and why of gunsmithing. 44 pages, soft bound. Printed in the U.S.A.
Back Cover of Chambering for Ackley Cartridges. Constructed to extremely tight tolerances, heavy duty body, loop and stainless steel bases, this swivel pair provides rock-solid performance under the most demanding conditions. Pull tested up to 450 pounds of tension. The mounting studs are flush mounted in your stock. Designed to remove, install, and adjust the rear sight and not mar the handgun. Fits most any 1911 slide. Uniforms the chamber throats in the cylinder of a revolver for best accuracy. 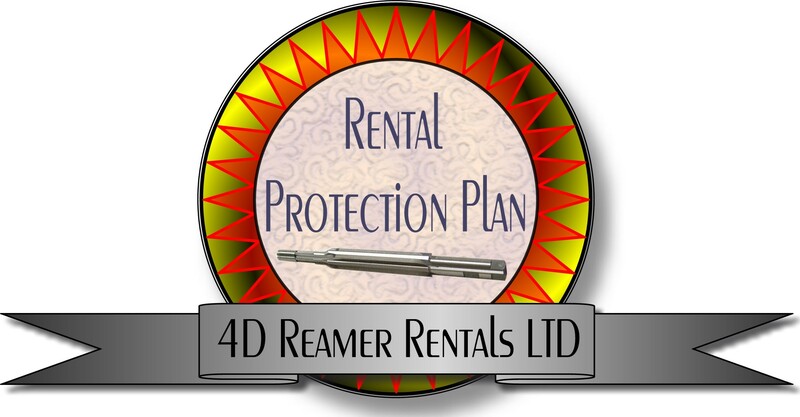 NOTE: No gauges are available for shipment with this reamer. Third of many planned works that provide instruction in the correct and safe methods of gunsmithing. Specifically, this essay discusses several methods that can be used to accurately chamber a rifle barrel. 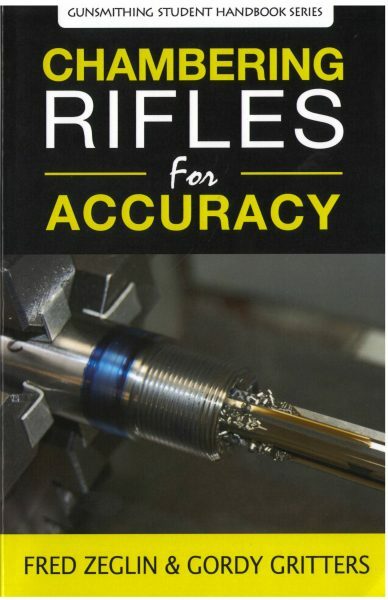 In Part I of the book Fred Zeglin teaches you all about accurate hunting rifles and discusses the variables that must be dealt with in order to create an accurate hunting rifle. In Part II Gordy Gritters, famed benchrest gunsmith, shares every secret he has learned over the last 30 years. Gordy finishes the book with a step by step process for bench rest barrel work. Each book in the Gunsmith Student Handbook Series will focus on one narrow subject in Gunsmithing. Written with the audience in mind these books are for shooters who want to know every detail of the how and why of gunsmithing. Whether you plan to build guns or not, each book in the series will provide a highly detailed and technical explanation of the subject at hand, in a way that any gun lover will be able to understand. Professional or hobbyist will enjoy this read. 123 pages, soft bound. 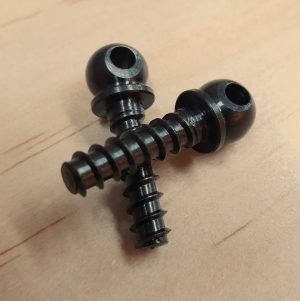 Printed in the U.S.A.
4D is now offering Sling Swivel Studs with a Ball head in stead of the common Dome. Providing a custom touch to your gun. They come in the standard blue finish and can be color case hardened for a more custom finish. Price here is for 24 of these custom swivel studs in a bulk package. 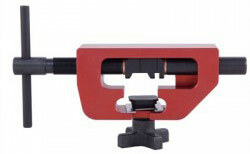 Bullseye AmmoCam 300 yard remote camera. Use with your phone, tablet or computer to see target down range. Try before you buy – call for details. Product Details = Top Focal & Clear lens kit 12 Lenses total. By popular request, we introduce the Top Focal™ Premier Kit! 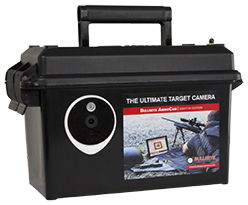 Bullseye AmmoCam Long Range Edition 1 mile remote camera.